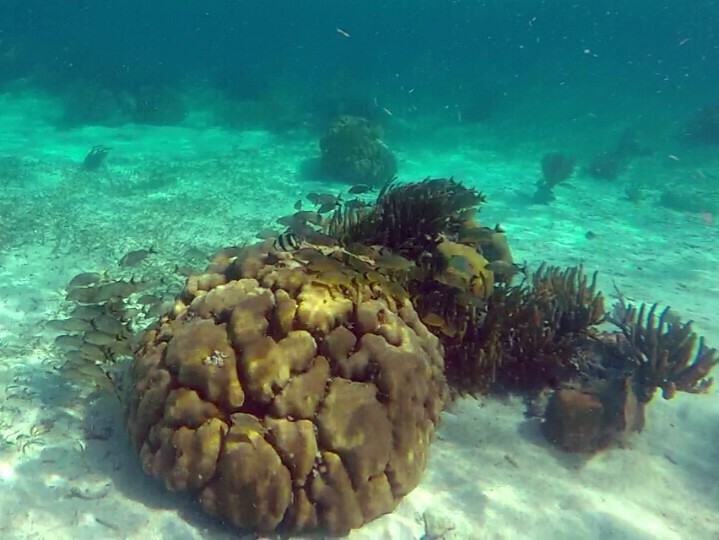 The island of Ambergris Caye is surrounded by turquoise Caribbean waters, and is nestled alongside the second largest barrier reef in the world! 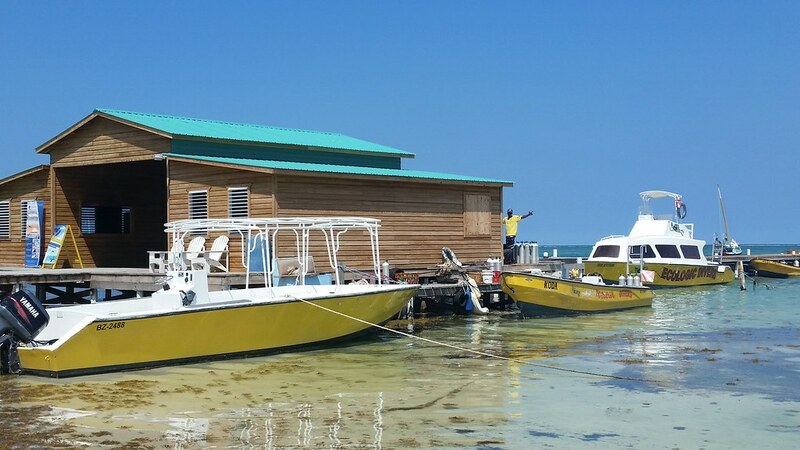 Ambergris Caye is the largest of 200 islands near nothern Belize. 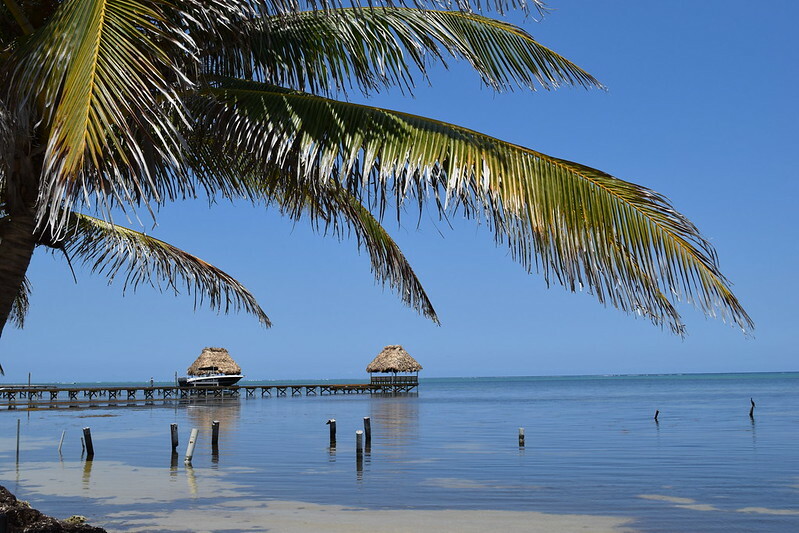 Caye, sometimes pronounced ‘key’, actually means small, sandy island on a coral reef. (i.e. 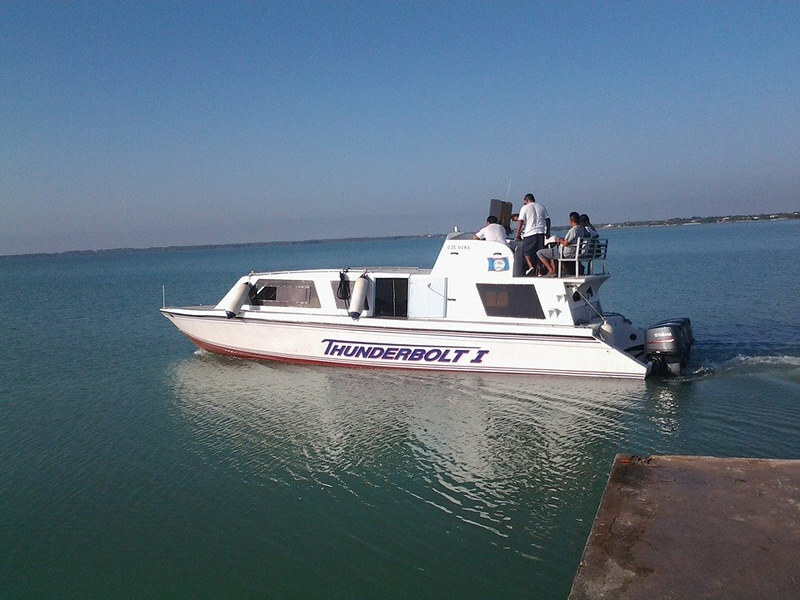 The Florida Keys) To get there from Sarteneja, I took a Thunderbolt water taxi, or speedboat, which took 1.5 hours and cost 25 USD. 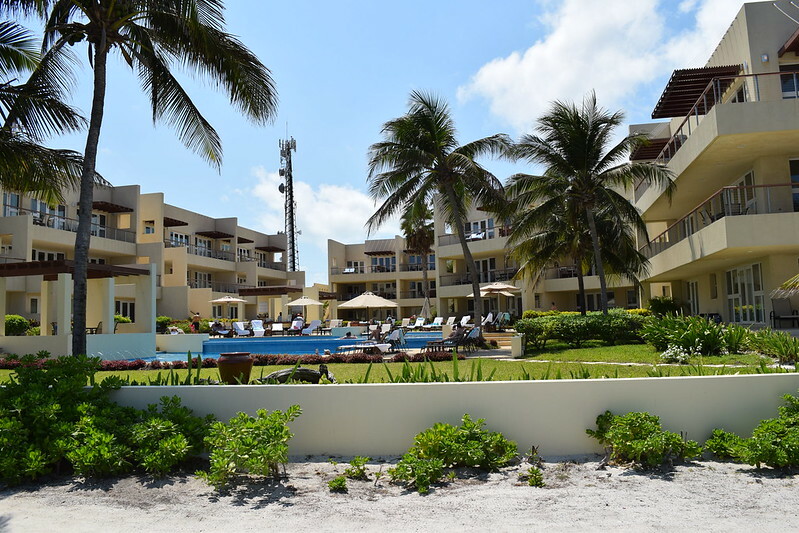 Where to stay on Ambergris Caye? 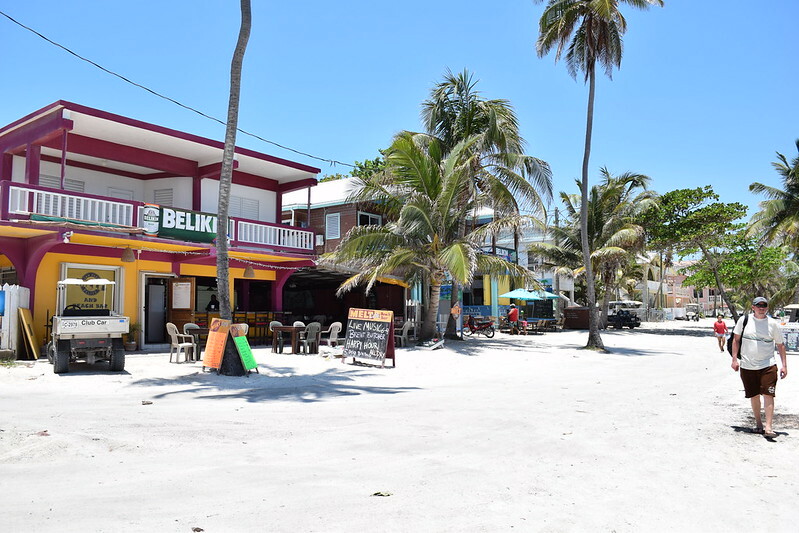 What it’s like in San Pedro on Ambergris Caye? San Pedro is a top vacation destination. 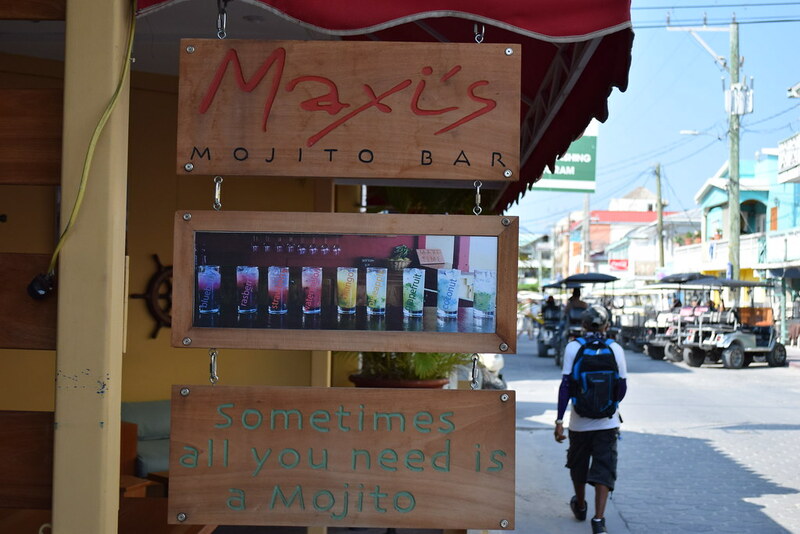 To accommodate so many visitors, their main roads are full of beach bars and tropical restaurants. 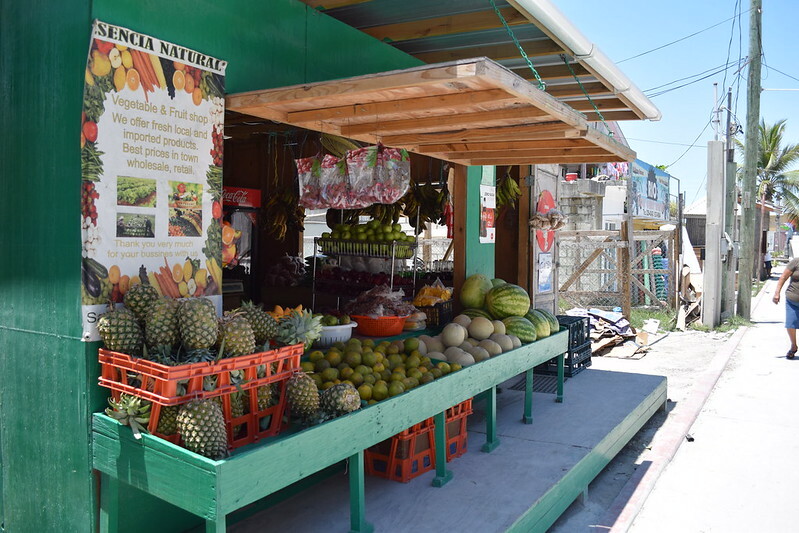 San Pedro has a total Caribbean vibe, with colorful pastel buildings lining the waterfront, and palm trees flowing in the breeze. 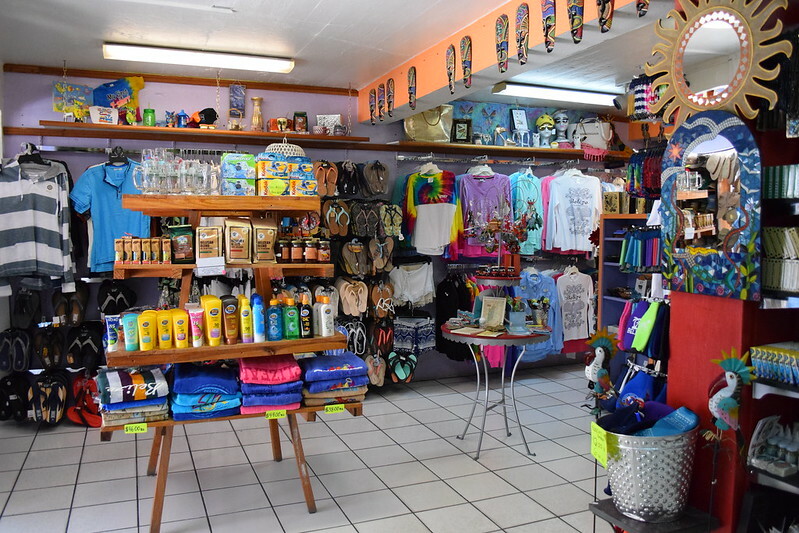 It’s also incredibly touristy, with lots of souvenir shops and holiday resorts as well. 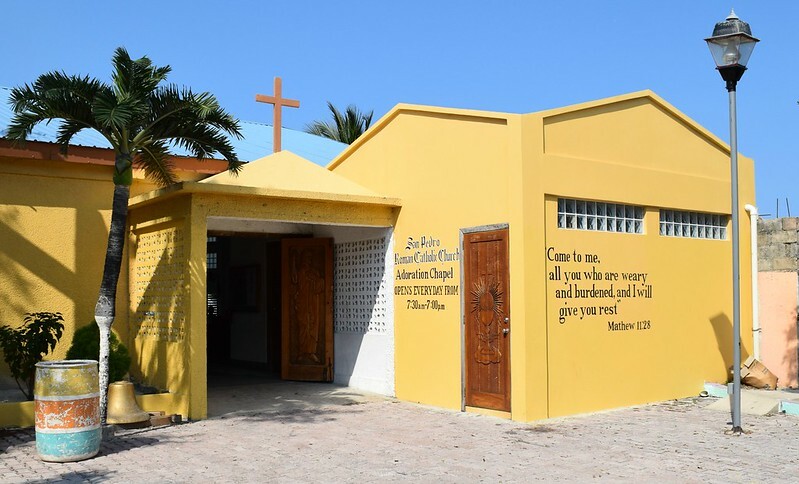 The inhabitants of San Pedro seem to be a combination of both vacationing party hoppers and Catholic Belizean locals, which makes for an equal distribution of both bars and churches on the island. I found this dynamic quite interesting. The club music can be heard until the wee hours of the morning, and a public sermon can be held in the town square the next day. 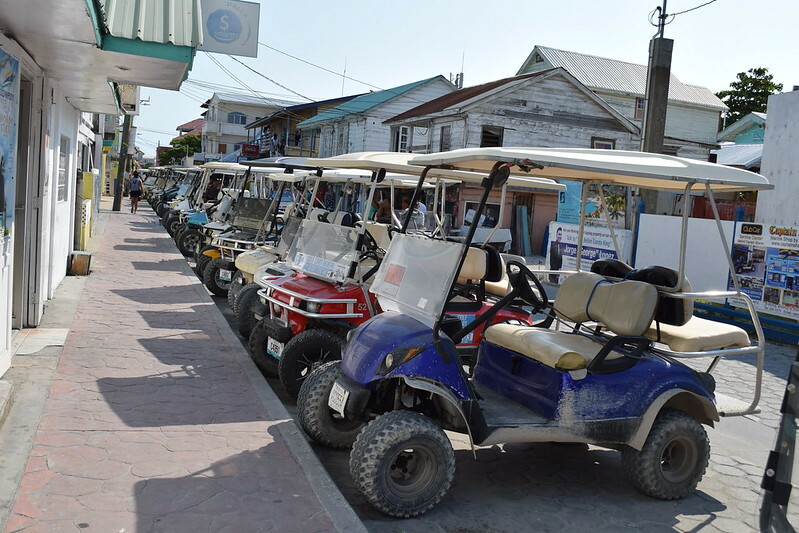 What activities are there on Ambergris Caye? 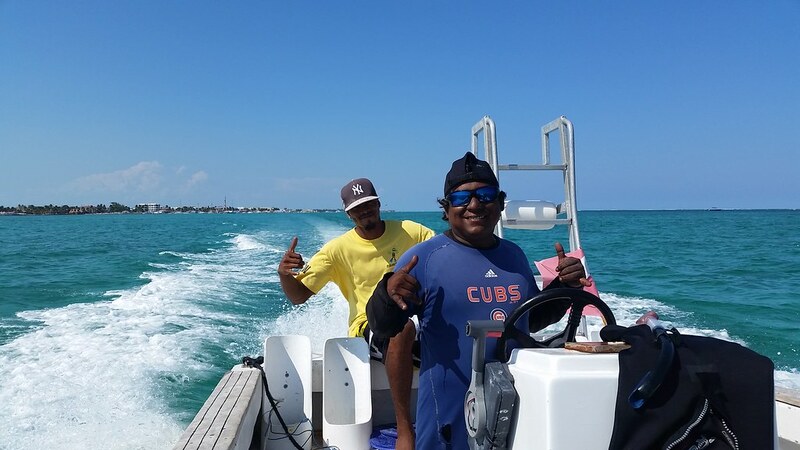 Ambergris Caye is a hot spot for all water sports, especially fishing, snorkeling, sailing, and diving. 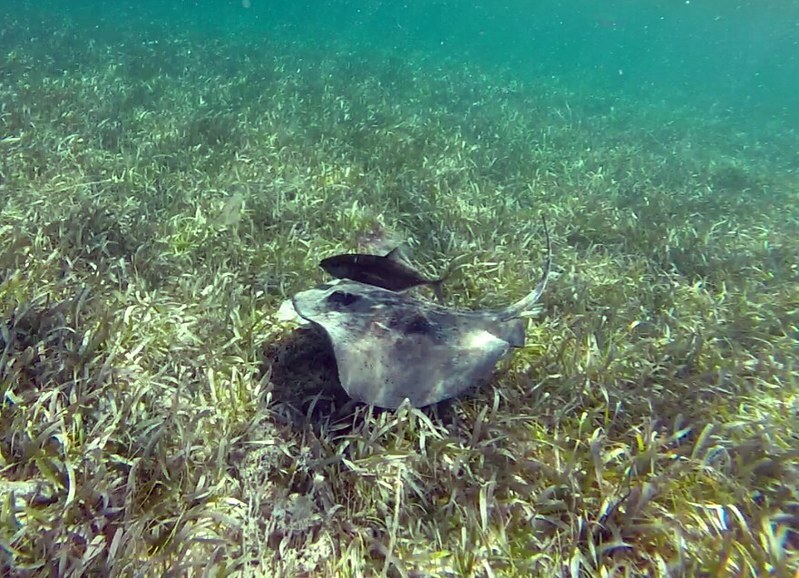 While in San Pedro, I went on a snorkeling trip to the nearby Hol Chan Marine Reserve and Shark Ray Alley. 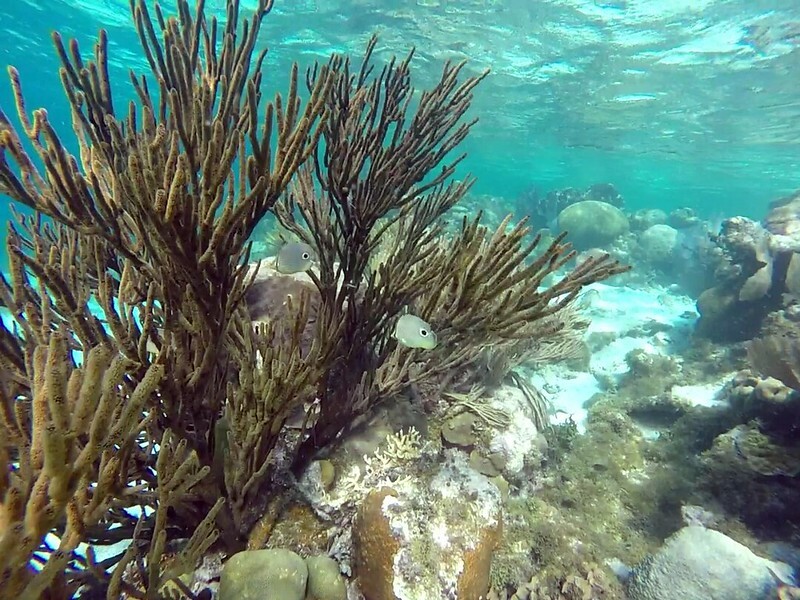 Hol Chan Marine Reserve is easily one of the best snorkeling trips I’ve ever been on in my life. 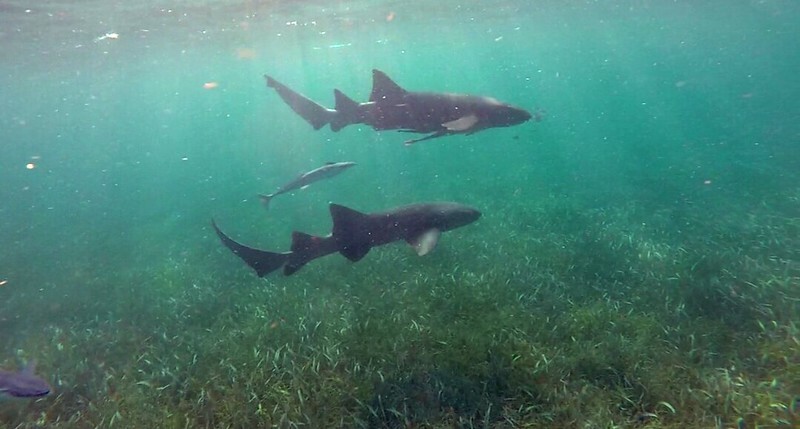 Hol Chan’s marine-protected, shallow waters makes for an abundance of diverse marine life. Most of which, can easily be viewed from the surface. 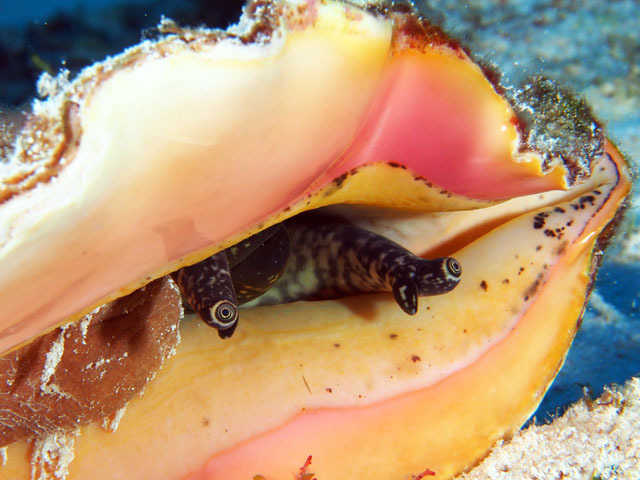 The company I chose to snorkel with was Ecologic Divers, which had friendly staff and great reviews on TripAdvisor. 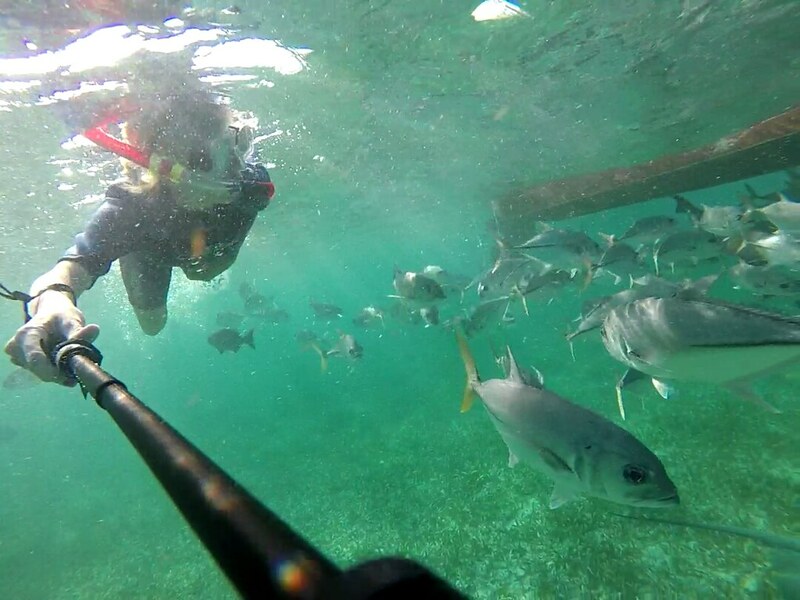 After a 15-minute boat ride to Hol Chan, their staff guided us on an hour-long snorkel trip around the reserve. 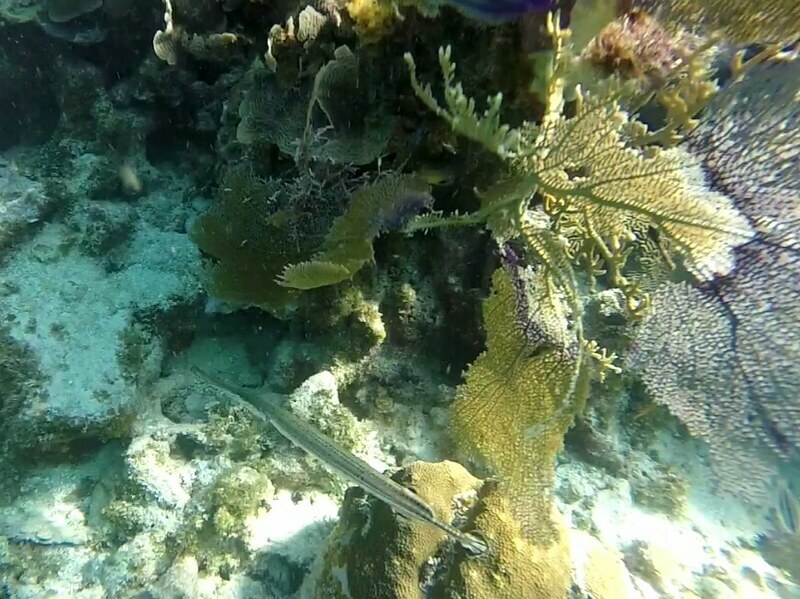 While at Hol Chan, we spotted Southern Stingrays, Spotted Eagle Rays, Trumpet Fish, Horse-Eyed Jacks, Princess Parrotfish, Nasau Grouper, Gray Snappers, Black Margates, and Foureye Butterflyfish, as well as, a variety of sea grass, sponges, and hard corals. 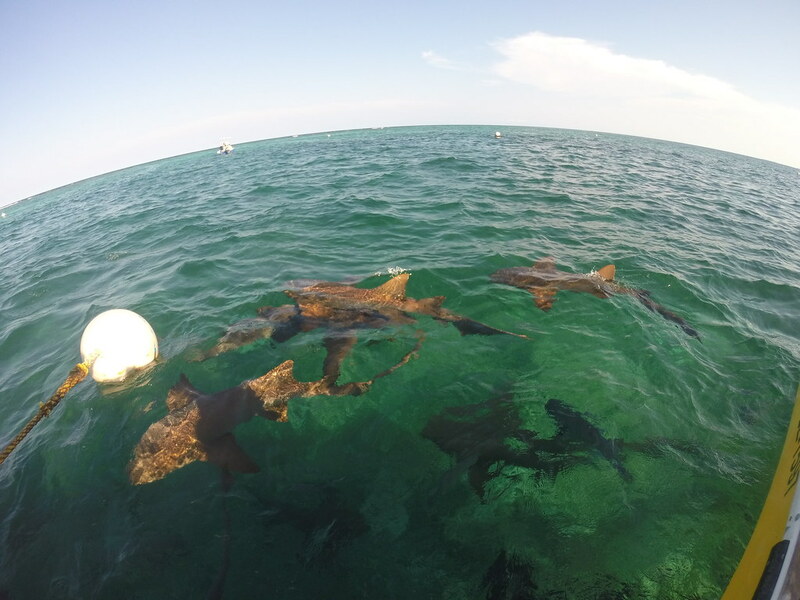 From there, we made our way to Shark Ray Alley, aptly named for the hoards of nurse sharks that linger in these waters. 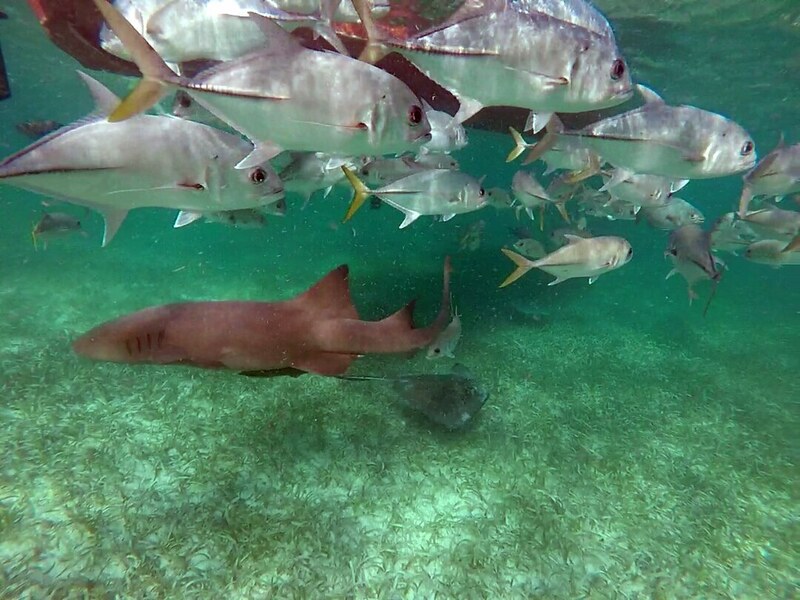 😮 As soon as boat arrived, the nurse sharks went swarming around our boat, hoping for some food. 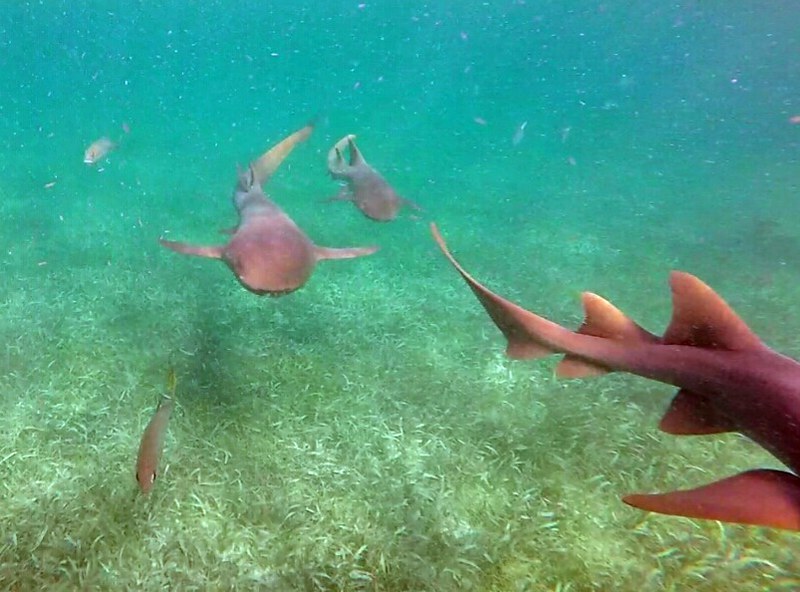 Fun fact: Nurse sharks are incredibly sluggish, and one of the most docile creatures in the sea. Now with only a few days on the island, I chose to hit up three spots in San Pedro for good food, good drinks, and a good time. 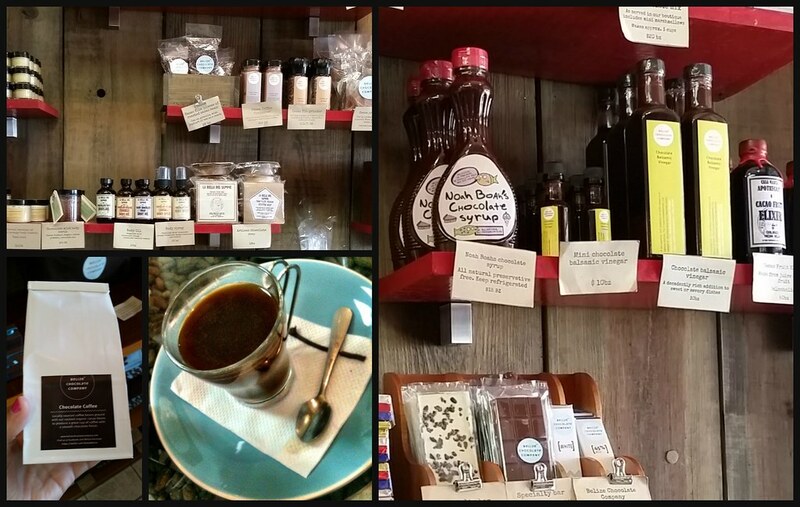 My first stop was to Elvi’s Kitchen, which is known for their seafood. 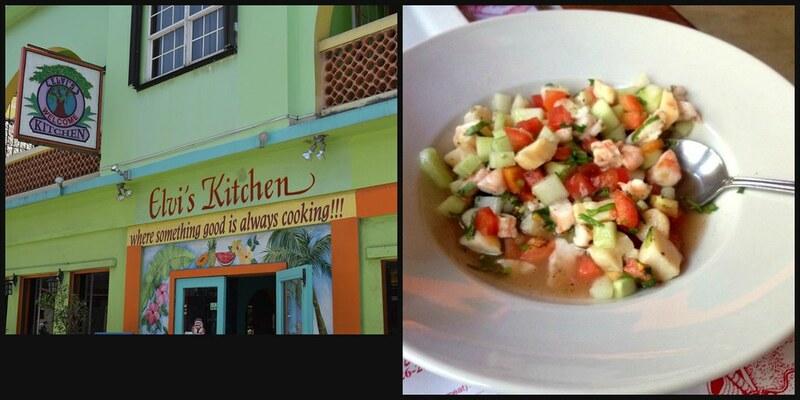 I opted for their ceviche, made with a mix of shrimp and conch, a sea snail native to Belize. 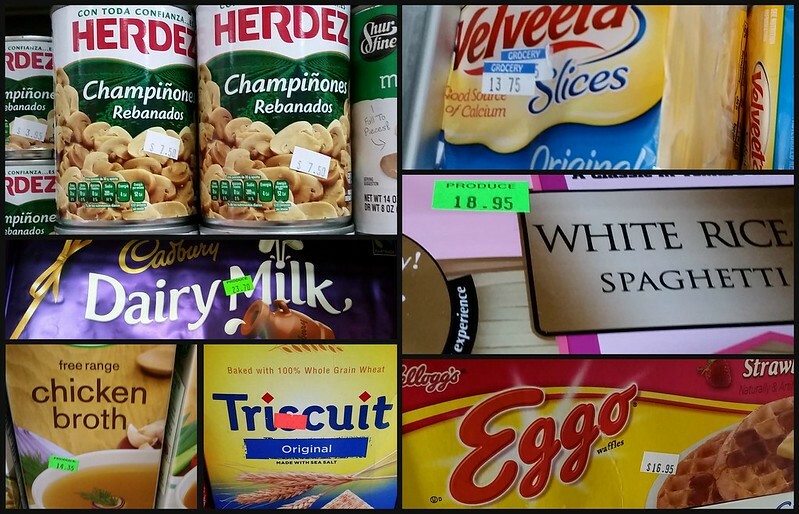 Side note on food budgeting: Prices on Ambergris Caye can be quite high, since most of their products are imported. Prices are 2-3X that of the U.S. 7 USD for Velveeta slices! Yikes! Oh wow the snorkelling is wonderful and so crystal clear! 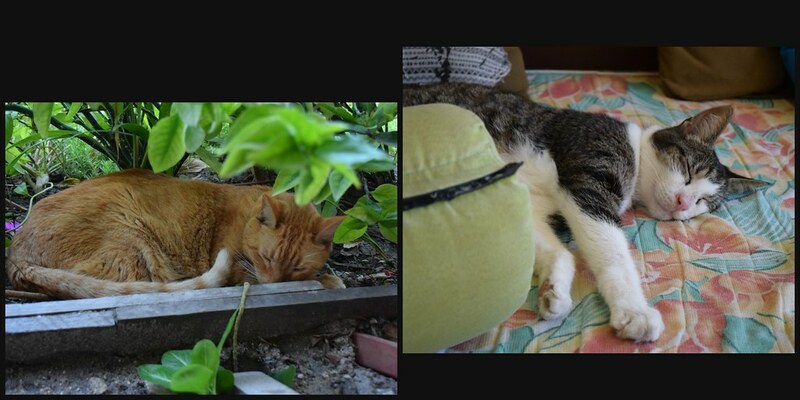 This post made me miss Belize so much! 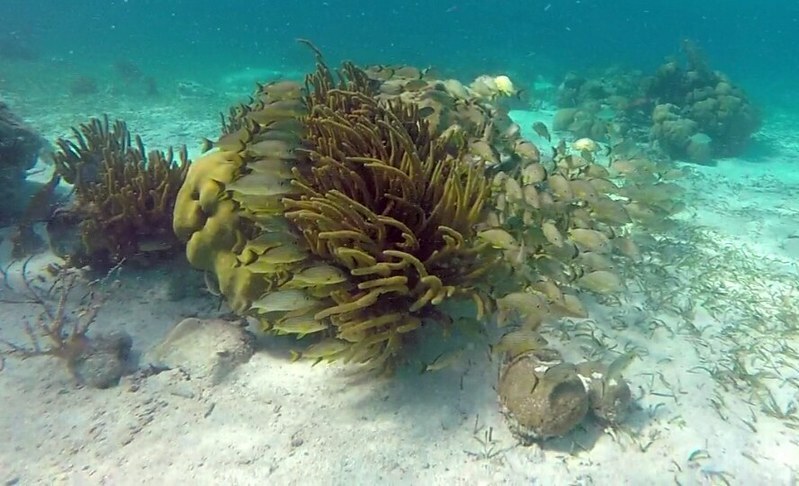 I went a few months ago and snorkeled as well and it was beautiful!